Right after checking the custom business card, I decided to put my son back to his swing. 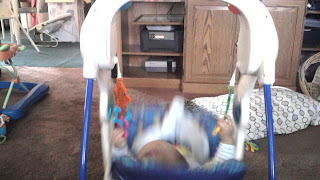 It is really funny to see that he really has to hold both the hanging toys. I am not sure if he is scared or he just wants to hold them both at the same time. I tell you he never let go even if he falls asleep. I never even noticed that he already fall asleep that fast. 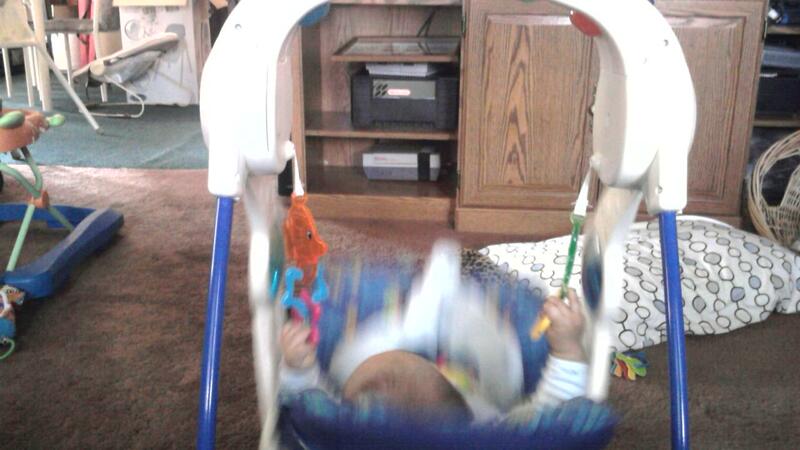 The reason I put him back there because this is just the second time around that he uses the swing. At least this time it seems he kinda like it. It took him 2 hours to sleep on the swing. I am not sure about how much weight capacity does it only allows though. He is getting heavier and heavier and taller each month. I don't care as long as I see that he loves it, he enjoys watching the colorful lights up plus the lullaby makes him fall asleep too.